As you are wrapping up the gardening year, I hope you have recorded questions you might have had over the season. Maybe you have a crop that just never performs as well as you would like or maybe you would like to expand your activities to grow something different or grow your usual crops in different ways. Just maybe, you are looking forward to using a cold frame, building a low tunnel, or putting up trellises in 2015 but you don’t know much about those things. This winter would be a good time to set yourself on the path of self-directed education. Having questions of your own is the best first step. Searching for the answers is the next. Observation in your own garden is a good place to start. I hope you have taken notes over the course of the gardening year about what puzzles you in the garden. Then, hit the books and see what others have to say. I know that people have become accustomed to searching the Internet and YouTube for information and I don’t mean to discount that. There is a lot of good information out there (including this blog) and there is a lot of not-so-good information. Pay attention to the source. 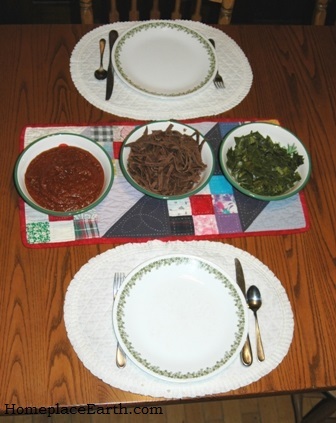 When I produced the cover crop and garden plan DVDs I had people like you in mind. The DVDs would be used in the classes I taught at the community college where they are still part of the curriculum, but are also available to anyone wanting to further their gardening education. Not everyone can fit a college class into their schedule, even if one was available to them. My DVDs can be used by individuals or with groups and can be watched over and over. They are a great way to bring everyone into the same understanding of the subject to start discussions. 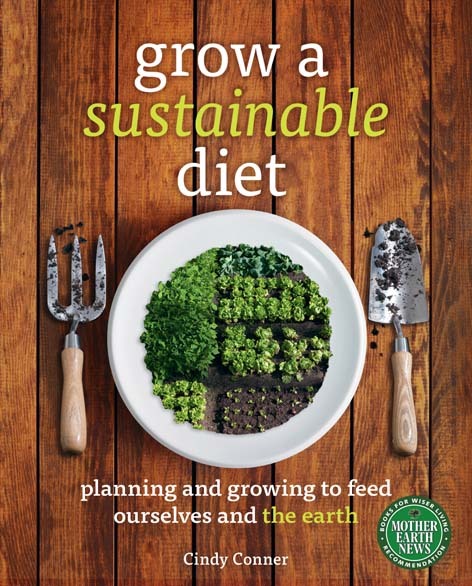 My book Grow a Sustainable Diet takes the garden planning and cover cropping further by including planning to grow a substantial part of your food and the cover crops to feed back the soil, while keeping a small footprint on the earth. In the first photo you see me working on that book. During the writing of each chapter I would get out books for reference and they would pile up beside my desk. When I finished a chapter, I would put the reference books away and start a new pile with the references for the next chapter. (By the way, I bought that wonderful desk at a church yard sale.) Whether I am writing a book, working on my garden plan, or researching something new I want to do in my garden, the scene is the same. I check the resources I’ve developed from my garden myself, refer to books on my shelf, refer to books from the libraries (I frequent several) and check out what is on the Internet. 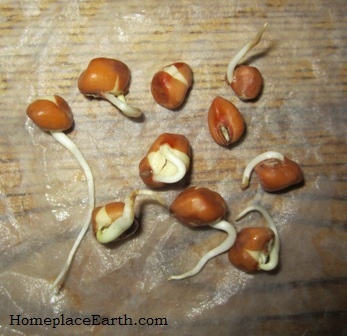 Sometimes when I am learning about a new crop, or fine-tuning what I know about something I’ve been growing awhile, I will write a paper about it to put in my garden notebook. It would answer all the questions I have about that crop and include some ideas for the future. In the paper I document where I found the information in case I need to reference it later. If you were taking a class somewhere you would have to write papers—maybe on things you have no interest in. You are the director of your own education here, so all the papers you write for yourself are relevant and timely. I learned to garden before the Internet was a thing. 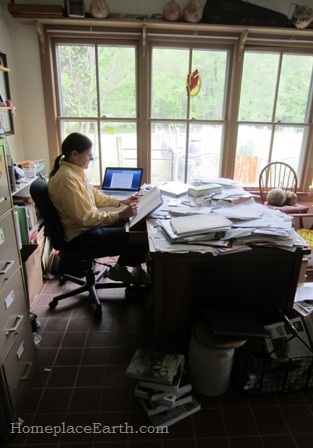 With a limited budget I learned from the experienced folks who wrote the books that I found at the library, primarily the ones published by Rodale Press in the 1970s and 80s. Then Chelsea Green came on the scene with New Organic Grower. Since then there have been many more good gardening books published, including the ones by my publisher, New Society. All the while I was reading those books, I was trying out the authors’ ideas and coming up with my own. The learning is in the doing. Get out in your garden and just do things. Encourage your library to stock the books you want to learn from. If you are going to buy them, try to buy from the authors themselves. Some good books are out of print, but thanks to the Internet, you can find them through the used book websites. Used book stores are some of my favorite places to shop. When you find something particularly helpful, buy it for your personal library. Put the books you would like on a Christmas Wish List. If someone asks you for suggestions, you will be ready. When the opportunity arises, go to programs and presentations that are offered in your community and regional conferences. Something might even pop up at your local library. 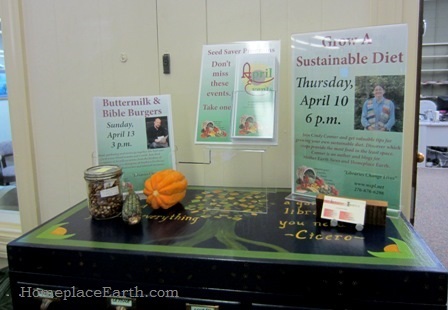 This photo shows the publicity that the Washington County Seed Savers Library gave to their upcoming gardening programs in April 2014. There is a poster to show that I would be speaking there and a brochure that listed all the spring programs. These programs were free to the public! There will be a cost involved for conferences, but you can recoup that in the knowledge gained from the experience—and from the connections you make through the people you meet. Sometimes the best thing to do, especially if you are new at this, is to spend your time listening to what everyone has to say. You can even learn a lot listening to the discussions going on over lunch. I just returned from the Mother Earth News Fair in Topeka, Kansas. I enjoyed meeting people following my work and those who just discovered it. I also enjoyed spending time with other authors, editors, and the Mother Earth News staff. Although we email throughout the year, it is good to meet-up in person. 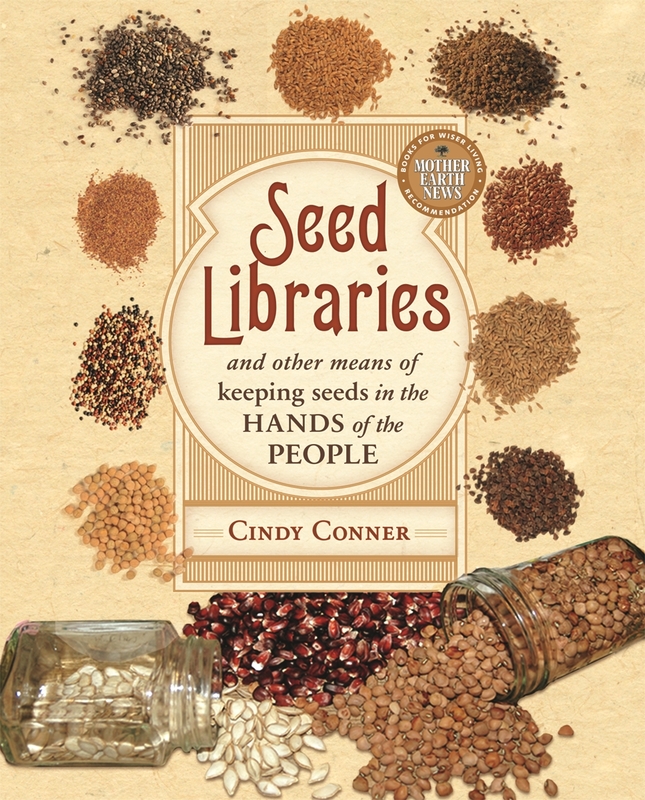 My next adventure is to attend Seed School in Buhl, Idaho both as a student and as a presenter on seed libraries. That’s where I’ll be when you receive this post on November 4, 2014. I am looking forward to sharing what I know and to learning from everyone else who is there. Take control of your own gardening education and plan to spend this winter learning wherever you can. Fill your garden notebook with your customized garden plan and with information specific to you. When I taught the class Four Season Food Production at J. Sargeant Reynolds Community College, the first project of the semester was a 100 Mile Food Plan. Working in groups, the students were to imagine their food supply was going to be disrupted and their only food, beginning January 1, was going to be from local sources. The project was due in mid-September, so they were to feel fortunate that they had this heads-up months in advance. In real life disruptions occur with increasing frequency with no advance warning. They would have to source their food within a 100 mile radius of where they lived. 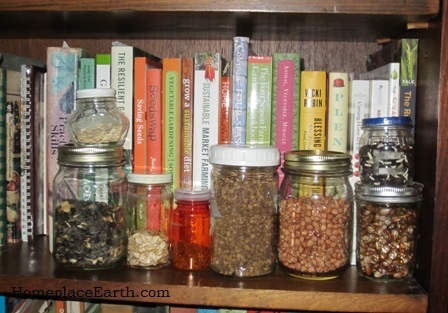 The students would need to find sources for winter food and be able to store it or preserve it now. Or, they would need to know a farm where they could buy it as needed, since the grocery stores would be closed. They could grow it themselves, of course, but that would take awhile and winter was coming on. This was a year-long plan, so growing it themselves would be planned in. If the animal products in their plan depended on feed shipped in and not grown locally, that would be a consideration. My intent in assigning this project was to acquaint them with the local food system. I wanted to get them out to the farmers markets to talk with the farmers and find out what was available. I also wanted them to think about exactly what it was they ate and how much they needed for a year. They received extra credit if they brought in a highway map of Virginia with their location pinpointed and circles at 25, 50, 75, and 100 miles away. It had to be a highway map so that it showed all the localities. 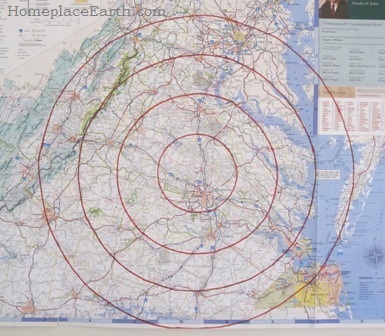 When they first thought of this 100 mile limit, many students thought it would severely limit their choices until they actually put the circles on a map. Even if you are not familiar with Virginia, you can see from my map that there are mountains on the left and the ocean on the right—all within 100 miles from my house as the crow flies. The area goes north into Maryland and dips into North Carolina to the south. Make a map of your own and see what you would have to choose from. This project sure was an ice-breaker. One thing that always happened in my classes was that people talked to each other. Each group had to assess the strengths of each of its members. Someone may have land available for future growing and others may have money, tools, skills, storage facilities, or muscle to contribute to each “community”. They would need to show on a chart what foods they found and where, how much they would need of each food for the year for their group, and how it would be stored or preserved. I also wanted their comments on what strengths and weaknesses they found in our present local food system. This generated plenty of discussion about what would happen if everyone had to suddenly depend on these local sources and what, if any, changes in their lifestyle and diet this project encouraged. I always enjoyed the interaction among everyone. I remember one group that had both a long-time vegan and a young woman whose family ate mostly meat. When you are planning for a community, everyone must be considered. When I first started teaching at the college in 1999, farmers markets were few and far between. It amazes me how many there are in 2013, with the number growing each year. I was one of the founding farmers of the Ashland Farmers Market. I stopped selling vegetables after the 2001 season to concentrate on teaching in order to put more knowledgeable consumers and producers at the markets. 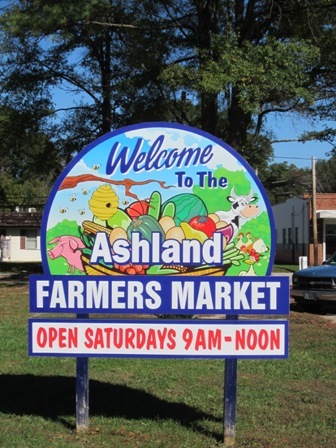 The produce, meat, eggs, and honey sold at the Ashland market must have been grown within a 30 mile radius of the town. If shown as a circle on my map, it would be just outside the inner circle. Most markets don’t have such a limit. Besides farmers markets, there are many other options for people to connect with local growers. 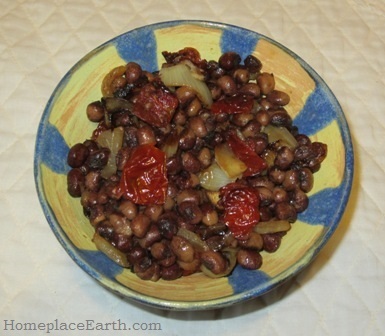 You can find sources for food grown in your area by checking www.localharvest.org. The two items my students had the hardest time finding were grains and cooking oil. There was much discussion about the possibility of making oil from the black walnuts that are prevalent in the area. That was before the Piteba, a home-scale oil press, was available. Even with that press, I’m sure the novelty of making oil from walnuts would wear off quickly. There was also much discussion about a source for salt. To really learn, you need to begin with questions and my students generated lots of questions while doing this project. You are probably familiar with Barbara Kingsolver’s book Animal, Vegetable, Miracle, a story of one family eating locally for a year. 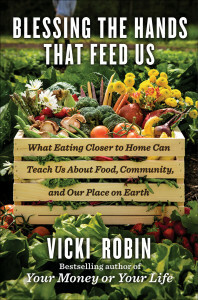 Once that book came out in 2007, many people began to think seriously about where their food comes from. About the same time, the book Plenty by Canadians Alisa Smith and J.B. Mackinnon was published. This couple had fewer resources than Kingsolver’s family did. They ate a lot of potatoes and tried their hand at sauerkraut which smelled up their small apartment. I encourage you to read both books. It can be quite a shock to your system to change your food supply suddenly. It is much better to ease into it and make changes gradually if you want them to last. The change needs to start in your mind, and that’s why I had my students do this project. I didn’t expect them to come up with all the answers to a plan that could be implemented right away. That would take much more planning. I did expect them to begin to question their diets and food sources. It certainly got them to focus the rest of the semester on actually growing their own food. The next project was on cover crops and then there was one about designing a season extension structure to cover a 100 ft² bed. Although it was not required to build the structure they designed, many students did and managed to get it planted that fall. With the first project, all agreed that if we actually had to depend solely on local supplies, there would not be enough food for everyone. With that in mind, they went ahead and built their structure. For the last project, each student was assigned a vegetable and had to write a newsletter about it as if they were a farm and this was their featured product for sale. I left the college in 2010 to be able to address a larger community. The classes continue with my daughter Betsy Trice as the instructor. 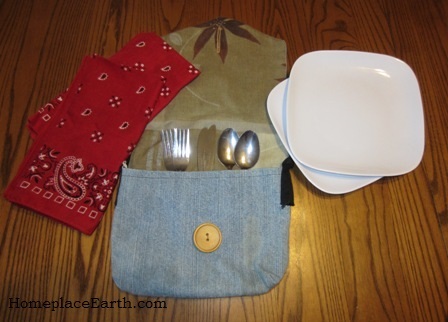 Betsy has put her own spin on the classes, but she still assigns the 100 Mile Food Plan. If all the grocery stores were to close on January 1, where would your food come from? I am a long-time subscriber to Growing For Market, a monthly publication for folks selling produce and other farm products. Although 2001 was my last year to sell produce, I kept my subscription up-to-date because I was teaching market growing at J. Sargeant Reynolds Community College. I left that position in May 2010, but still maintain my subscription because I continue to find the information helpful. When I read ‘Lean’ Principles Applied to a Farm by Ben Hartman in the May 2013 issue, the wheels in my head couldn’t stop spinning, reminding me of all the things that I had experienced along that line that are helpful to me. You could search “lean business principles” on the internet and come up with lots of background information. In his article, Hartman explains how taking stock of what was happening on his farm, in the light of “lean” principles, helped him have a more efficient and profitable business. I remember hearing Joel Salatin, many years ago, speak about the importance of regularly reading books about business if you are involved in the business of farming. I know–people don’t like to think of mixing business and the pleasure of farming and gardening–but this is a way of examining what you are doing and making it better. The end result, hopefully, is a more relaxed and enjoyable you. I urge anyone wanting to sell produce from their farm someday to learn to grow as much as they can of their total food needs first, fine-tuning the timing and quantity to their family’s needs. With a good garden plan, you will know what to expect and when to expect it. You’ll also learn how much you can produce in the area you are working with. When you do decide to grow for more than your family, you will have an idea of how much area you will need, when things will be ready and how much you would have to sell. You can also anticipate if you will need to change methods or add equipment. Your garden plan is your business plan for the business of managing the food production for your household. 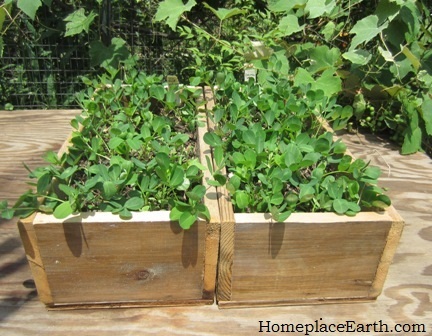 My DVD Develop a Sustainable Vegetable Garden Plan can help you with that. You might also take a look at my blog posts Keeping Garden Records and Making a Garden Map. The first suggestion in Hartman’s article is to get rid of anything not necessary for your operation. I remember when I was a market grower and made the decision to standardize my operation and only use wooden flats that I’d made from recycled wood to start seeds. 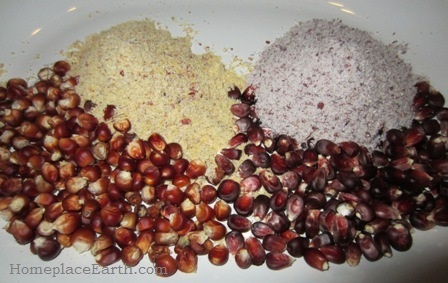 I had been using a variety of recycled plastic containers to start seeds in. What I cleaned out of my shed filled half of my 8’ long pickup bed. My shed was cleaner and I loved using the wooden flats. “A place for everything and everything in its place” is a common mantra for anyone becoming better organized. It’s also important for a lean operation, whether for your business or household. I keep my garden maps on a clipboard and have found that if I hang it up, rather than leave it around the house or on my desk, I can find it much easier. I keep it on a nail on the side of a cabinet that I store seeds and garden supplies in. Just below it I hang my sickle, so that I know where it is and for safety reasons because it is so sharp. When I get a garden shed built, the sickle will live there. Some people go so far as to outline their tools on the wall where they are hanging up. That way if something is missing, they readily know what it is and can begin looking for it. 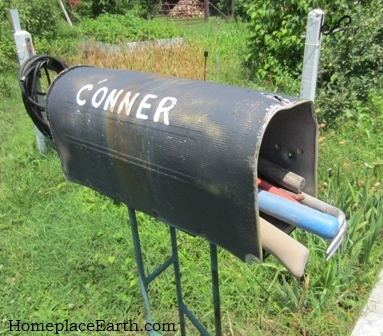 I have an old mailbox in my garden to hold trowels and small garden tools. As long as I make sure to put them back there, I can find them in an instant. The article mentioned keeping work stations clean. Having a defined work station in the garden is something that is often late in coming. Gardeners are too used to picking, then hauling everything to the house. You will get some ideas for making a work station for cleaning your produce in your garden from my post Garden Washing Station. Having a garden washing station allows me to wash and prepare the produce and load it onto the screens that go directly into my solar dryers. That food never enters the house until it is ready to be put away in jars as dried food. Water, dirt and trimmings stay in the garden. Having a standardize measurement to compare each part of your operation, in this case different crops, is the best way to know what is profitable (in $ or in time) and what is not. The basic measurement I use is pounds harvested per hundred square feet. To take that further would be to factor in the months it took to reach that harvest. If you are growing to fill canning jars, you might measure the harvest in how many quarts filled — or as a market grower, how much money you can make per hour of harvesting. Eventually you realize you can’t do everything and will make decisions about what to keep on with and what not to do anymore. In a market operation, the amount of money to be made comes in high on the priorities for making those decisions. In a household operation, matters of the heart might be higher on the priorities list than potential income. Another suggestion in the article was to “level the load” — spread out tasks over time, so as not to be overwhelmed. If you are already overwhelmed with a family and a garden, just imagine how it would be if you added selling produce to the mix. Begin now to look at what you are doing in all aspects of your life to see how you could adjust your tasks for a more even flow of your personal energy. Rules we seem to establish for ourselves, for whatever reasons, are not so rigid that they can’t be changed. Sometimes it is only our minds that need changing — how we choose to perceive things. I’m sure you’ve heard the story of putting a frog in a pot of water and slowly bringing it to a boil. The frog stays there until it is cooked because it doesn’t realize what is happening. If you drop the frog into water that is already boiling, it will jump out. If the waters of your life are heating up, jump back now and take a look at what is going on and make some adjustments in what you are doing. You will be happier and so will your family and friends. Of course, everything doesn’t always go as planned and complications are bound to pop up. Somewhere I came across this saying — Life is not about weathering the storm, but dancing in the rain. I hope to find you dancing.